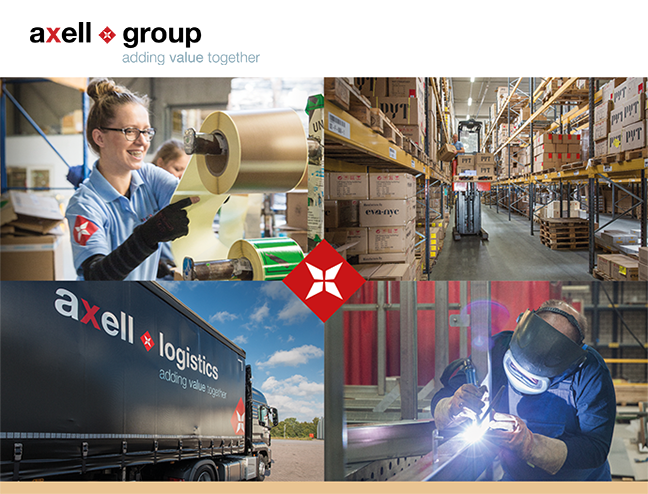 Axell Logistics, active in logistics and based in the Netherlands and Poland, belongs to the Axell Group. Axell Logistics operates from two locations in the Netherlands, namely Diessen and Etten-Leur. Every day, employees offer a complete package of logistics solutions. Warehousing, value added in logistics, domestic and international transport are the main areas of Axell Logistics’s activity. We all treat each other with respect and invest in the development of our employees. Our company philosophy involves looking to the future, being ready for changes and finding solutions. Through open and honest communication, we show others who we are and clearly formulate our expectations. Those qualities of the organisation constitute the standards and values of all our employees working for Axell Group. The International Forwarder works in the Transport Department, together with transport planners, junior transport planners and transport administration employees. He reports to the International Transport Managing Director and is employed in Diessen. The International Forwarder is responsible for maintaining contacts with customers and handling transport orders. He cooperates with planners in the Netherlands and Poland. The International Forwarder searches for loads for returning international vehicles. He actively maintains contacts with subcontractors. Checking the presence of documents, permits and freight documents. You identify areas for improvements in the field of freight forwarding. Closely cooperating with all employees in the field of planning in the Netherlands and Poland, as well as with the Sales Department in the field of transport implementation. Informing the customers about the track and tracing of transport activities. Controlling, analysing and improving the quality of performance. Building long-term relationships with contractors and suppliers. Maintaining contacts with existing customers. Actively conducting activities in the field of acquisition of forwarding activities. Searching for loads for returning international vehicles. Excellent command of Dutch, English and Polish language. Geographical knowledge of Northern European countries. Ability to continuously evaluate and react to the changing market, wishes and needs of the customers, as well as the position of the competition in order to to lead to an increase in the company’s turnover by using such information. Ability to analyse the problem and find appropriate solutions. Ability to take actions and carry them out without any support from others. Provision of original solutions to problems. Ability to invent new methods of acting instead of traditional solutions/approaches. Ability to concentrate, in an environment rich in information, on rapidly changing topics and events and to act effectively at the same time. Possibility for permanent employment if both parties are satisfied.